Stay warm yet look cool with this classic fan favorite. 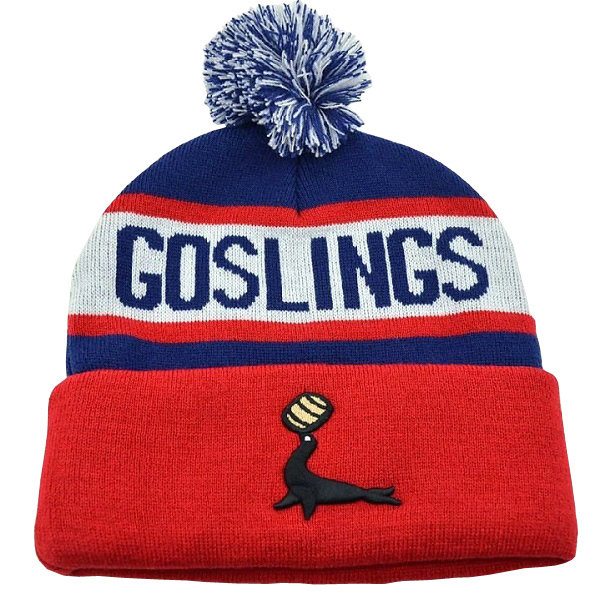 Our custom Goslings winter hat features the iconic Black Seal logo. This knit hat is 100% Acrylic with a comfortable stretch fit and fun pom on top. This hat is sure to be your winter go-to even in the coldest conditions. One size fits most.